So I've tried on an open knit, cropped boxy sweater or two or a zillion, but none look good on my curvy frame! 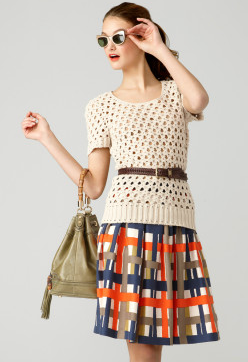 So now I'm looking at open knit sweaters that are more formfitting, no shapeless blobs here! Buy this Milly for $275.